This session will be held in Spanish. In September 2017, five cyclones and two earthquakes, one of magnitude 8.2 Richter, simultaneously struck Mexico. In the aftermath, Mexico’s National System of Civil Protection put into practice the cumulative disaster risk information, expertise, and social protection tools collected and built throughout decades since the 1985 earthquake. Although this multi-disaster modernized risk knowledge and brought new approaches for disaster prevention, efforts to prevent and reduce disaster risk must continue. The session will share information on how new technologies and lessons learned are scaling up disaster risk communication and management in Mexico, which will shape future scenarios in Mexico, particularly in face of increased disasters. Dr. Carlos Valdés was born in Mexico City and is a Geophysical Engineer from the Faculty of Engineering of the National Autonomous University of Mexico. He studied the Masters and the PhD in Geophysics at the University of Wisconsin-Madison (USA). His most recent positions include: Head of the National Seismological Service (2005 to 2014). On February 1st, 2014, he was appointed as General Director of CENAPRED by the Minister of the Interior. Dr. Vela-Treviño is a Mexican economist and is the Head of the Insurance, Pensions and Social Security Unit at the Ministry of Finance of Mexico. He joined the Ministry in August 2009 as an Economist in the staff of economic advisers to the Deputy Minister of Finance and later became Deputy General Director of Public Debt. Vela-Treviño worked as for Barclays Capital, in New York, within the Emerging Markets Fixed Income Research Team. He also worked at Banco de México, as an Economist in the Research Department. Dr. Vela-Treviño holds a bachelor’s degree in Economics from ITAM, Mexico City, a Master’s Degree in Economics from the University of Chicago and a Ph.D in Economics, also from The University of Chicago. Dr. Vela Treviño has lectured courses in public finance, public policy and microeconomics both at The University of Chicago and ITAM, México. Some of his research has been published in refereed journals in the U.S. and México. Earned his Ph.D. in structural engineering from the Cockrell School of Engineering at The University of Texas at Austin in 1991, and received his bachelor’s degree in civil engineering from Universidad Nacional Autónoma de México (UNAM). After completing his doctorate, he returned to Mexico City, where he managed structural and geotechnical engineering at the National Center for Disaster Prevention (Centro Nacional de Prevención de Desastres). He became the center’s research director in 2000. While serving as a research professor in structural engineering at UNAM, he earned the UNAM Prize for Young Academics, as well as the Prize on Research from the Mexican Academy of Sciences. He soon rose to an administrative role at the university, serving as the coordinator for innovation and development, director of the Institute of Engineering from 2003 to 2007, and, finally, provost of the university from 2008 to 2011. 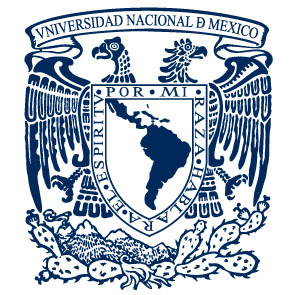 Dr. Husker is currently the head of the Department of Seismology at the Institute of Geophysics of National Autonomous University of Mexico (UNAM). He obtained his Ph.D. degree in Geophysics and Space Physics from the University of California Los Angeles. His research areas are: study of tectonic tremors and slow earthquakes, development of low-cost seismic networks and mapping of real-time seismic intensity. He is a civil engineer graduated from the Faculty of Engineering of the National Autonomous University of Mexico. He has a specialty on Spatial Data Infrastructure imparted by the Polytechnic University of Madrid. Currently pursuing a Master of Science degree with a specialization in Geospatial Information Systems from the University of Zalsburg. Since 2014 he has been Director of Analysis and Risk Management at the National Center for Disaster Prevention, where he is in charge of the design and development of the National Risk Atlas. Leads regional projects in the Americas related to the integral management of disaster risk in Mesoamerica and the Caribbean through the Technical Coordination of the Mesoamerican Network for Disaster Risk Reduction and the Territorial Information Platform for The Caribbean. He is the author of several publications and technical articles related to the use of geospatial technologies for disaster risk assessment. He has given lectures in various national and international technical forums and has directed theses on the use of Geographic Information Systems applied to risk analysis.